Now members of the Starfinder Society and captains of their very own ship, the heroes head to the planet Castrovel, home of some of the best universities in the Pact Worlds, to research the clues they found on the mysterious asteroid. On Castrovel, their findings point them toward an ancient elven temple-city called the Temple of the Twelve, lost deep in Castrovel’s teeming jungles. But the heroes must contend with two other factions—the exiled Corpse Fleet of Eox and the Cult of the Devourer—who are also interested in the asteroid’s secrets and have their own plans for the ancient alien superweapon, if they can find it first! 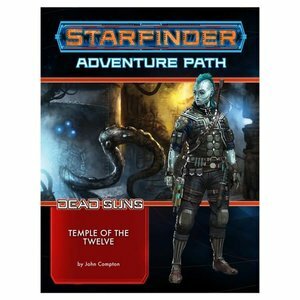 “Temple of the Twelve” is a Starfinder Roleplaying Game adventure for 3rd-level characters. 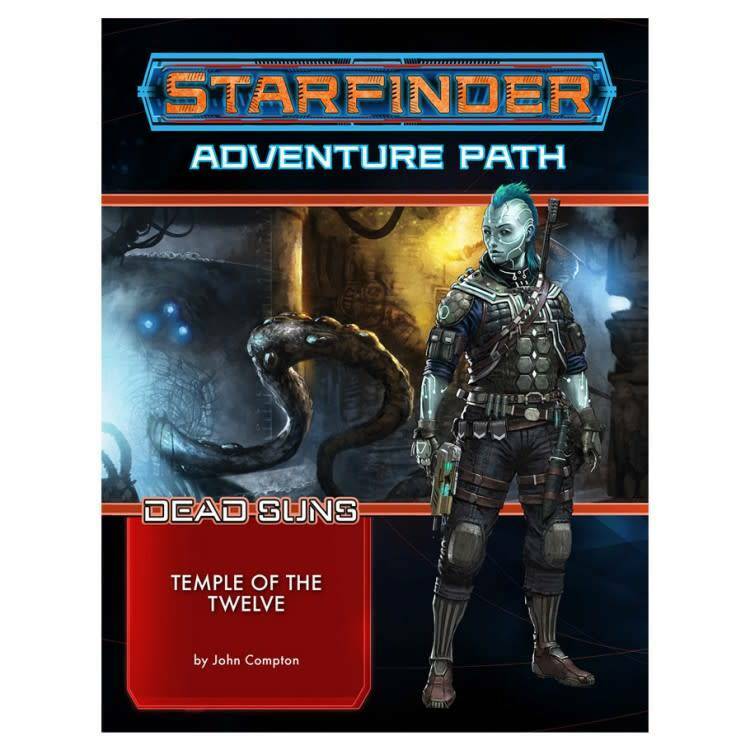 This volume of the Starfinder Adventure Path includes a gazetteer of the jungle planet Castrovel, details on the menacing Cult of the Devourer, and a selection of new monsters from alien worlds.